We specialise in providing first aid training to individuals and organisations. We can facilitate the full range of first aid courses Tasmania wide. Moreton Group delivers nationally recognised training in partnership with Allens Training Pty Ltd RTO 90909. Existing workers in the industry who may require CPR training first aid training as recommended by the Australian Resuscitation Council. There are a number of different options for completing the pre-course study; Ebook Online training Hard copy coloured workbook. The pre course study includes a question paper, you must take the completed paper with you to the training course. Click Here to complete pre course work. This unit of competency describes the skills and knowledge required to provide a first aid response to a casualty. The unit applies to all workers who may be required to provide a first aid response in a range of situations, include community and workplace settings. Specific licensing requirements relating to this competency, including requirements for refresher training, should be obtained from the relevant state/territory Work Health and Safety Regulatory Authority. There are a number of different options for completing the pre-course study; Ebook Online training Hard copy coloured workbook The pre course study includes a question paper consisting of 65 multi choice questions. You must take the completed paper with you to the training course. Those employed in the child care and education industry. This unit of competency deals with the skills and knowledge required to provide first aid response and emergency life support to a casualty in a remote and/or isolated situation. This unit applies to workers who may be required to prepare for and provide a first aid response in locations beyond the reach of timely medical assistance. This unit deals with the skills and knowledge required to provide an advanced first aid response, including management of the incident and other first aiders, until the arrival of medical or other assistance. The unit applies to workers who may be required to provide, coordinate and manage a first aid response across a range of complex situations, include community and workplace settings. This unit describes the skills and knowledge required to use specialised equipment in the provision of resuscitation in line with the Australian Resuscitation Council (ARC) guidelines. This unit applies to workers who may be required to use specialised equipment to provide resuscitation in a range of complex situations, include community and workplace settings. Specific licensing requirements relating to this competency, including requirements for refresher training, should be obtained from the relevant state/territory Work Health and Safety Regulatory. Existing workers in this industry who may require advanced first aid training as recommended by the Australian Resuscitation Council. Students who successfully complete this nationally recognised training will be awarded the statement of attainment for: HLTAID007 Provide advanced resuscitation HLTAID001 Provide cardio pulmonary resuscitation. Mixed Mode: Completion of CPR pre course study plus 6 hours practical training. Face to Face: 7 hours face to face training. Mixed Mode: Completion of CPR pre course study plus 4 hours practical training and you must supply a copy of your current certificate. Face to Face: 5 hours face to face training and you must supply a copy of your current certificate. It is recommended this unit be renewed every 12 months in line with industry standards. This consists os pre course study and 7 hours face to face training. This unit describes the skills and knowledge required to establish, maintain and facilitate the provision of appropriate first aid in the workplace. The unit applies to workers in nominated occupational first aid or management roles. Specific licensing requirements relating to this competency, including requirements for refresher training, should be obtained from the relevant state/territory Work Health and Safety Regulatory Authority. This unit is appropriate for those undertaking first aid responsibilities in a first aid room. This unit is completed within a skills set for Occupational First aid: HLTSS00027 - Occupational First Aid Skill Set. HLTAID006 Provide advanced first aid. HLTAID008 Manage first aid services and resources. This skill set provides a set of skills to establish, maintain and facilitate the provision of appropriate first aid in a workplace environment, including the skills to provide an emergency first aid response in the event of an emergency. HLTAID006 - Provide advanced first aid. HLTAID007 - Provide advanced resuscitation. HLTAID008 - Manage first aid services and resources. This skill set has been endorsed by industry as appropriate for people who are either employed in, or intending to become employed in, nominated occupational first aider roles. There are no prerequisite, entry or work-placement requirements for this course. 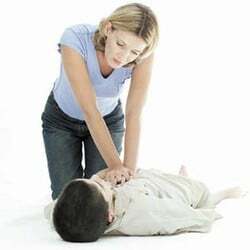 It is a Training Package requirement of this course that you are physically capable of performing uninterrupted CPR for at least 2 minutes on a CPR adult manikin placed on the floor and on a CPR baby manikin placed on a firm surface. Many of our courses have pre course study options, to find out more or start your pre course study please go here. 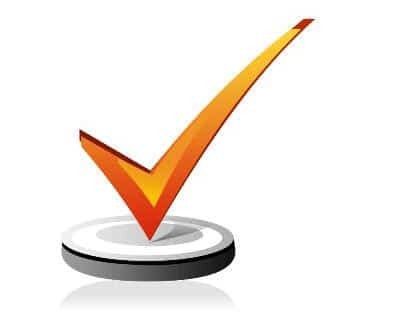 You maybe required to register for a Unique Student Identifier you can register here. 39 Main Road Moonah TAS 7009.